The 2500 line encoder is especially suitable for applications requiring high speed and low noise. RMCS-1060 is Low-voltage AC servo motor drive available with FOC field orientation vector control and supports position / speed closed loop. It supports Modbus(RS 485) control mode. And it's easy to controlled directly from PC with PC test software. AC drive also provides Under voltage, Over voltage, Blocked , Overheat protection. A 32 -bit high speed DSP chip is used. FOC field orientation vector control, support position / speed closed loop. Support command pulse + direction or quadrature pulse signal. The speed mode supports pwm duty cycle speed regulation or voltage speed regulation. 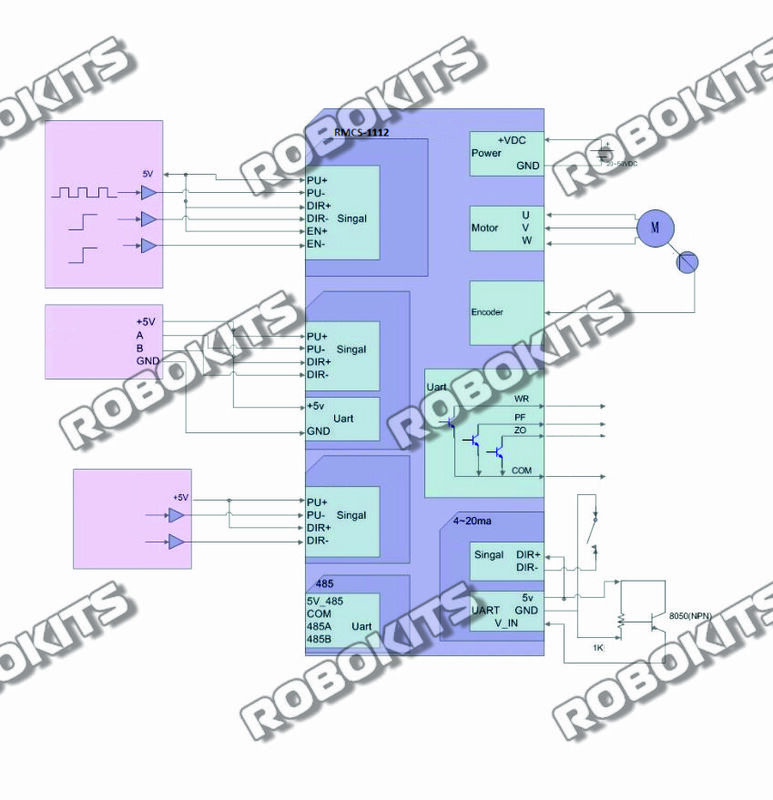 16 -bit electronic gear function, 1~65535 / 1~65535 . The supply voltage is +20V~50V . Support 50~500W AC servo motor. Support serial port ( modbus protocol RTU mode) control mode. Serial port ( TTL level) control mode, which can set the drive address and simplify the control system. It can also be controlled directly from a PC and provides PC test software. With under voltage, over voltage, blocked, overheat protection. Provides the in-position signal, alarm output signal, and encoder zero signal of the isolated output. Support 485 (modbus protocol RTU mode) control mode. The drive address can be set to simplify the control system. It can also be controlled directly via a PC and provides PC test software. With under pressure, over pressure, blocked rotation, overheat protection. Provide the in-position signal, alarm output signal, and encoder zero signal of the isolated output.